This website has been developed from the research findings of Dr. Ray Kerkhove. It was built with a team of IT Masters students from Griffith University: Austin Odigie, Nkem Awujo, Hamed Bakhtiari and Saman Kayhanian. Revised in 2017 by Sumal Ranasinghe, Pathum Sameera, Amila Perera & Shoan Jacob a group of IT Bachelor Students of Griffith University. 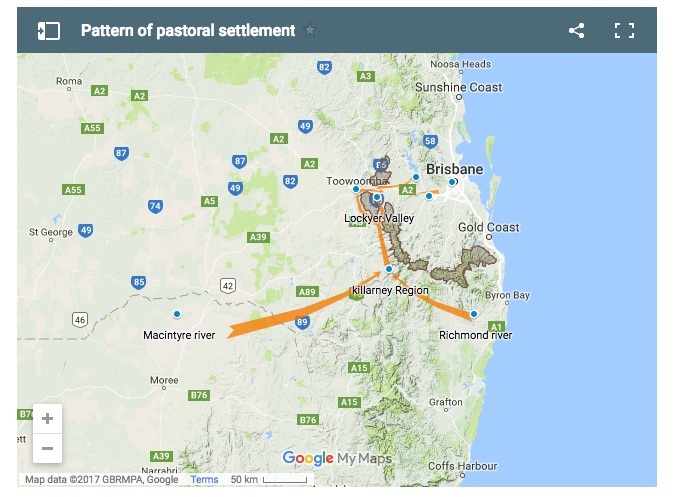 Dr Kerkhove is currently a visiting Fellow at Griffith’s Harry Gentle Resource Centre, which is a digital portal of resources concerning the pre-Separation (pre-1859) history of Queensland. Ray’s speciality is the Aboriginal history and Aboriginal material culture of southern Queensland during the earliest decades of contact (1820s-1870s). He has written and presented various public and conference talks, articles, reports and books in this field, often working with Aboriginal families on reviving and reconstructing specific aspects. A major interest of his has been creating overviews of the historical landscapes that would better illustrate Indigenous presence and provide a more inclusive overview of the conflicts and lifestyles of those times. 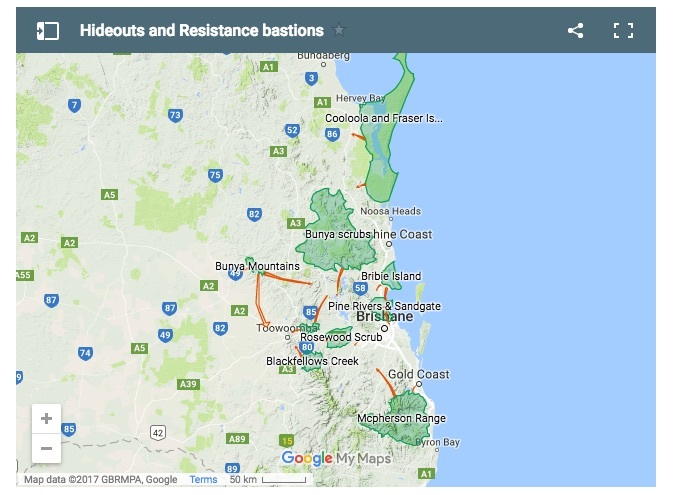 The current project aims to visually (digitally) present the resistance wars in south-eastern Queensland in an easily-digestible and informative manner, by combining maps, images and brief explanations. Dr Kerkhove seeks to better illustrate the typical lifestyle of settlers and Aboriginals caught in the resistance wars. 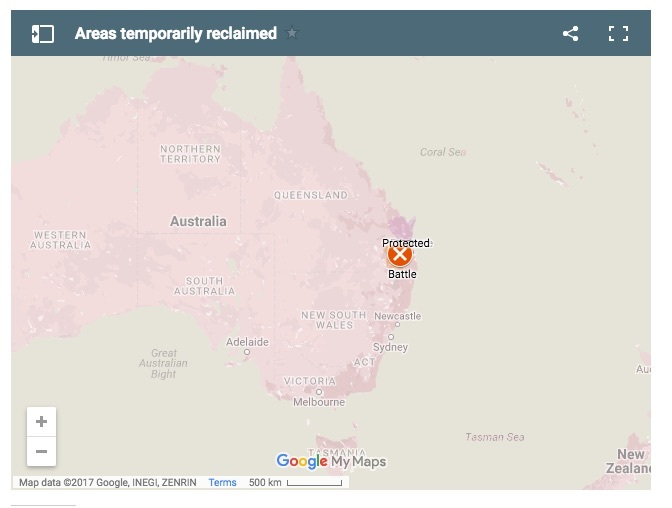 He also seeks to develop historical maps that better reflect what was happening from an ‘Aboriginal resistance’ perspective. 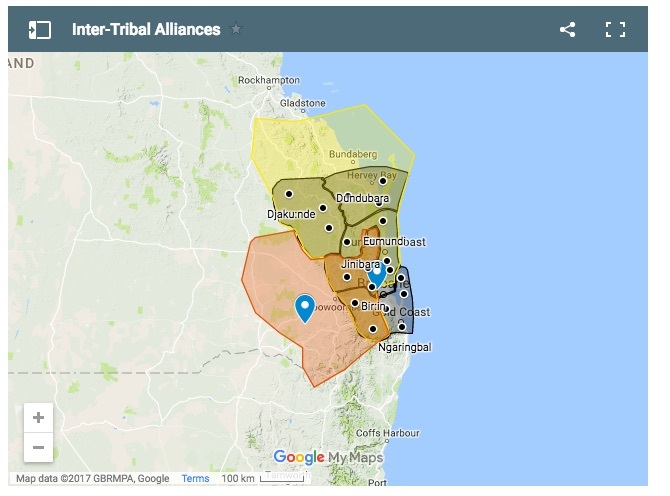 Dr. Ray Kerkhove also published a book “Aboriginal Camp Sites of Greater Brisbane” which he described as the starting point to finding campsite locations.